Dussehra, traditionally, is the celebration of the victory of good over evil. However, what are you celebrating even after so many yugas have passed? For people to remember, certain days were marked by ancients to pass on significant messages. Broadly, it is the day of good defeating evil. But what is good or evil? When we say creation is the balance of equal forces, evil becomes a necessary part of creation. The existence of Rama is only relevant till Ravana is there. As part of creation, it is up to us which forces we join forces with. For those who wish to commence on the journey of the spirit for purpose of evolution, ancients gave practices like Sanatan Kriya. Sanatan which means eternal is relevant in every era of creation. 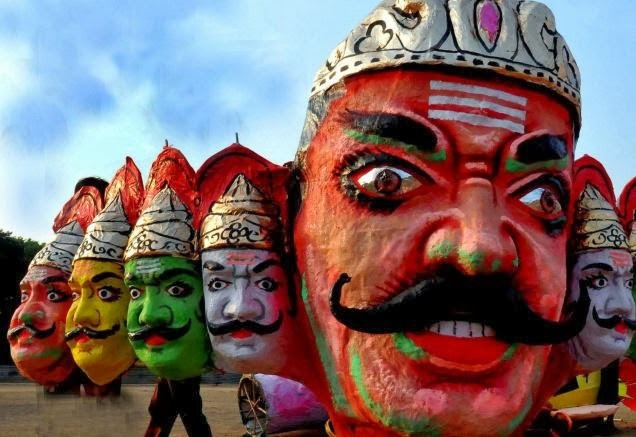 The Ram-Ravan conquest is an eternal war, if you choose positivity, evolution, service and the righteous way of life, Dussehra is a day that marks your overcoming so many facets of evil, including maya or illusion, which dominate us. 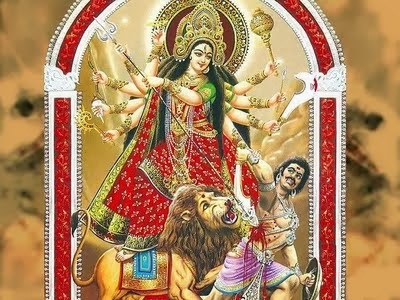 Dussehra is preceded by nine days of fasting, the navratras. Fasting does not mean abstinence from certain foods and then binging on the alternatives. It simply means abstaining from indulging your senses for specific periods of time for a higher purpose. It includes observing austerities and strict discipline, those of satya-asteya-aparigraha-ahimsa-brahmacharya, on each of the days and beyond. The discipline of niyam is the kiln, the heat which turns a normal individual into a yogi. The question then arises, why these particular nine days? A yogi is not bound by time and muhurat, yog is sanatan - that is, it has no beginning, no end. A yogi has access to all the energies that run creation. However, to reward sadhaks or adherent-seekers on certain days that are charged with abundant, vibrant powers brings accelerated results. The nine days of navratras are the days when the energies of Durga, Lakshmi and Saraswati are most accessible to us. Shaktis or energy centres are instrumental in opening the three knots - rudra granthi, vishnu granthi and brahma granthi -- corresponding to the upper, middle and lower regions of the body respectively, to aid you in your purpose. The cumulative effect of self-purification through fasting and accessing these energies through Sanatan Kriya under the guidance of an able guru is the free upward movement of prana or life enrgy in the sushumna nadi by overcoming basic sensual desires and pleasures. This opens the doors to the inner world and enables you to realise the divinity within. The tenth or the final day, Dussehra, marks the ultimate triumph, and hence it is called Vijayadashmi. The universe exists inside us, and the outside is only its reflection. So go inwards if you choose to fathom it. Or else, the reflection would fool you into wasting your life Therefore, for a spiritual seeker, Dussehra is the culmination of mantra sadhana and havan to invoke these energies to aid creation and in the process, realise the divinity within to help slay your demons.